Hooray it’s finally here! I’ve only been waiting forever for this release! Ok, so that is a major exaggeration, I’ve only been waiting a few weeks, but it felt like forever. I am in love with the way Max writes her books! They speak to my soul, they pull me in, they hold me captive from start to finish. And the emotions! Oh, the emotions take you over, they make you feel everything the characters feel! 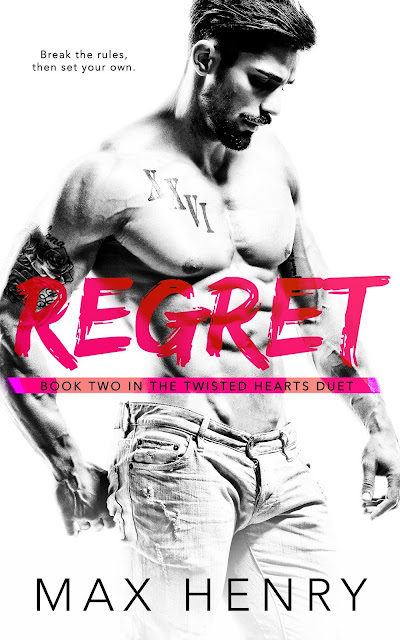 Regret is Book 2 in the Twisted Hearts duet. 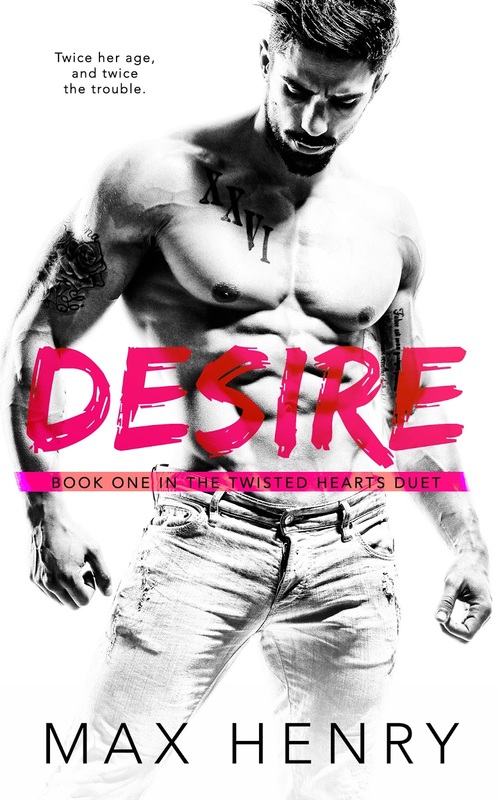 We met Belle and Zeus in Desire, the tale of Forbidden love. They are back with their emotional story, pulling on our heart strings. I just love Belle and Zeus together. Even though the age difference is there, it’s just a number. They have a deep connection, and hot chemistry that probably lets off sparks when they are together. The connection in palpable through the pages. I love Zeus’s character, he is just so hot! He is just a big dirty talking cranky alpha with a soft side that you can’t help but fall in love with. Cerise is my least favourite character, actually I want to slap her! She should just stop what she is doing and move on. This story had me tearing up at least 4 times while reading! The angst and emotions were so great! I absolutely loved reading this book! And that ending!! That ending is everything. Thank you Max for giving us such a beautiful ending to such a fantastic duet! Which probably stands to reason why each of her books takes the reader on an emotional journey that not only promises twists, turns, and suspense, but a heart-wrenching journey where her motto holds true: Love never comes easy. When she's not lost in an alternate world - fueled by coffee and the odd sneaky bowl of chocolate (preferably M&Ms) - she spends her days as a wife to a dedicated husband, mother to two rambunctious boys, and an obsessive petrolhead enjoying the muscle on display at the local car shows.